This Portuguese apple and coconut cake (bolo de coco e maçã) is easy to make and tastes delicious. 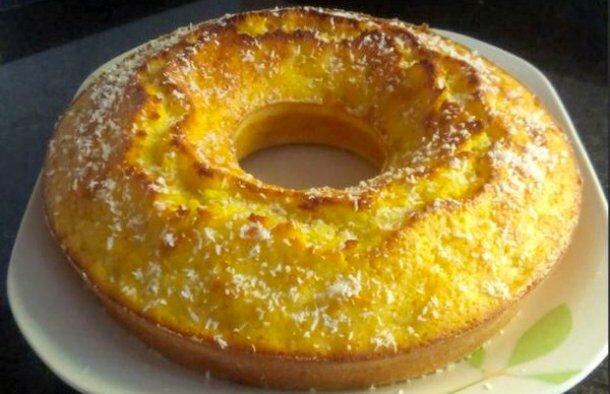 Grease a small cake pan with margarine and sprinkle it with flour. Beat the eggs with the sugar until a creamy and whitish preparation is obtained. Add the yogurt and margarine and beat again. Peel the apple and chop it into small cubes, add it to the preparation along with the grated coconut and the orange juice. Mix everything very well, add the flour and baking powder and mix it well. Pour into the cake pan and bake at 180ºC or 350ºF for about 40 minutes. Garnish with grated coconut and enjoy. 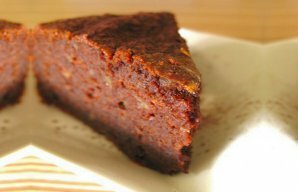 This Portuguese chestnut cake is a rich, flavorful and decadent cake that has just the right amount of sweetness and chocolate. 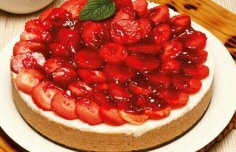 Learn how to make this delicious yogurt flan with strawberries. 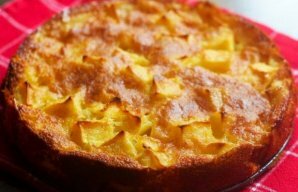 This quick, easy and delicious Portuguese apple cake (bolo de maçã) is perfect for everything, from the brunch table, to an afternoon snack.